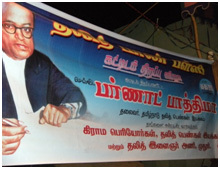 During the World Conference Against Racism held in Durban, South Africa, in 2001, Dalit community and Buraku community worked together to call for the inclusion of the term “descent” in the Durban Declaration to be adopted at the end of the conference. Beating drums while dancing traditional dance, the two communities paraded on the main street of the venue. Indeed, drum making and beating is common vocational and cultural practices among the two. Whilst the term “descent” was not included in the declaration, the Committee on the Elimination of Racial Discrimination, or the CERD, adopted its general recommendation No. 29 to interpret the term “descent” in Article 1 of the Convention, giving special attention to discrimination against Dalit and Buraku. Joint efforts between the two have brought about good results. 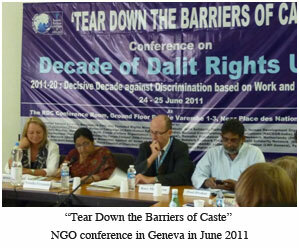 The former UN Sub-Commission on the Promotion and Protection of Human Rights (belonging to the Commission on Human Rights, the predecessor of current Human Rights Council) conducted the study into the caste-based discrimination defining it as “discrimination based on work and descent,” and came out with the report entitled “the UN Draft Principles and Guidelines for the Effective Elimination of Discrimination Based on Work and Descent ” in 2007 after six years of the study. International civil society organizations including IMADR welcomed the draft P&Gs and called for the adoption by the Human Rights Council. While the draft P&Gs has not yet been adopted as the official UN document, it has effectively been used by civil society organizations including Dalit movements in different Asian countries for their international, regional and local advocacy aiming at the realization of Dalit rights. Asia Dalit Rights Forum (ADRF) as a regional platform for solidarity among Dalit organizations has conducted the benchmark study of situations of Dalit community in respective countries referring to the P&Gs as norms. Reports of the study are available here . “Untouchability” has been practiced against Dalit communities in South Asia and other communities which have been suffering from analogue types of discrimination commonly known as caste-based discrimination. The practice of “untouchability” has facilitated segregation, exclusion and unjust and unequal treatment of the affected communities. ▶︎ Physical segregation in: habitation, religious service, school, workplace, public services, etc. ▶︎ Denial of equal opportunities in: education, occupational choice, employment, decision-making, etc. ▶︎ Exclusion from activities in society including: economic, social, cultural, etc. This has marginalized the affected communities from the mainstream society, and put them in the negative cycle of poverty. They have suffered hereditary discrimination. in the middle of 20th century. The Tokugawa feudal system set the grounds for how Buraku discrimination functions in modern-day Japan, but does not fully explain the current manifestations of discrimination. Those facing discrimination are not limited to descendants of Tokugawa outcastes. The original meaning of the word Buraku is ‘neighborhood’ or ‘community,’ but it has become shorthand for tokushu buraku, or ‘special communities,’ a euphemistic designation for the neighborhoods in which descendants of outcasts have historically lived. While these neighborhoods were relatively stable during the Tokugawa period, after the Meiji Restoration (1868), populations became more mobile, with events such as earthquakes, wars, and economic growth leading, over the next century, to the massive relocation of people throughout Japan. As a result, people who were not descendants of outcasts moved into neighborhoods formerly designated as outcast, and boundaries of these neighborhoods shifted. Despite these changes, these Buraku neighborhoods are still known, tracked formally in governmental registers and informally in daily conversations that people have about their own neighborhoods and hometowns. Present-day Buraku discrimination is primarily based on whether a person lives in a Buraku neighborhood, or whether her or his parents are from such a neighborhood. This means that it is possible for people with no connection to the Tokugawa outcaste status to be labeled as Buraku and face anti-Buraku discrimination. It is even possible for a family to unknowingly move into a historically Buraku neighborhood and, unbeknownst to them, become Buraku. The stigmatized category of Buraku, which is based first and foremost on an individual’s family lineage and occupation, has come also to depend on one’s family address. The Buraku Liberation League (BLL), as the largest Burakumin’s rights group, estimates that there are over 6 million Buraku people nation-wide. The BLL produces annual reports that track the hundreds of cases of discrimination that happen throughout Japan every year, cases which include harassment and refusal of marriage or employment. The political movement’s efforts have resulted in great improvements in the quality of life in Buraku neighborhoods, the elimination of physical violence against Buraku people, and a continuing reduction in other forms of discrimination as well. However, anti-Buraku prejudice is still prevalent throughout the country, and discrimination remains a key issue. 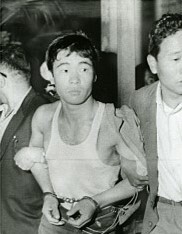 On May 23, 1963, Kazuo Ishikawa, a man of Buraku origin from the town of Sayama, north of Tokyo, was convicted and sentenced to death for a crime he did not commit. 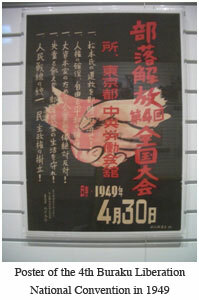 Though Mr. Ishikawa is now released on parole, his sentence has not been cleared yet. For more information, please visit the page of the Sayama Case .